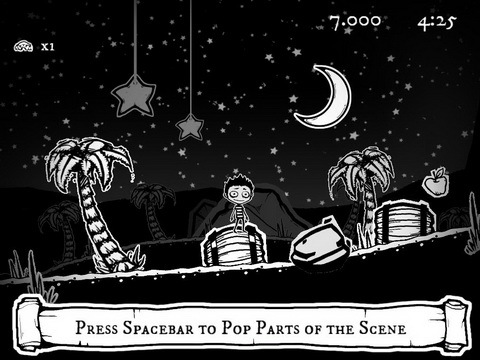 Paper Moon is crazy monochromatic dark little game made by Flashbang studios with Unity (a technology which enables 3D and physics right in your web browser, iPhone and Wii). Flashbang’s game designer Steve Swink explains that Paper Moon is “based on a pop-up book and the song by Ella Fitzgerald.”. Anyway game is worth checking out!